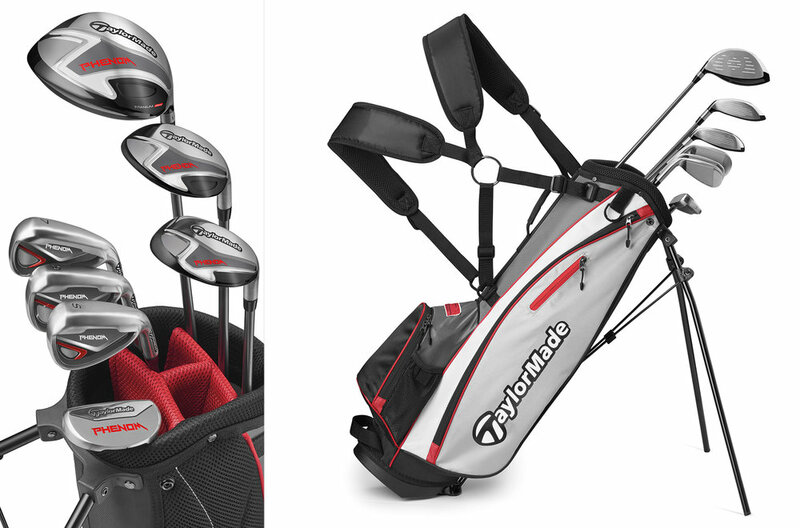 TaylorMade Golf has introduced Phenom, a set of clubs it says is designed and engineered to support junior golfers with proper swing fundamentals through optimized lengths, weights and lofts, allowing for shots from tee to green with consistent distance gapping throughout the set. For each club in the set, the company says the shafts have been both flex and weight-optimized and made to appropriate lengths, while the grips have been developed to meet the needs of smaller hands, allowing proper feel throughout the swing. The Phenom driver is a 400cc titanium driver TaylorMade says is made to the same exacting standards of performance and design for which TaylorMade drivers are known. The Phenom fairway wood features a stainless steel head with a low profile, low-CG design, providing technology that TaylorMade says will help junior golfers get the ball airborne off the tee or from the fairway. A larger head size adds forgiveness and promotes confidence at address. Similar to the fairway wood, the Phenom Rescue club features a stainless steel head design in the TaylorMade’s first Rescue club. Designed to be easy to launch with long distance, the company says the Rescue will also help bridge the critical gap between a players’ fairway wood and irons. Perimeter weighted heads highlight the Phenom irons and wedge. TaylorMade says each features forgiving performance with generous offset to assist in squaring the face at impact, enabling high and straight shots with greater accuracy. TaylorMade says the Phenom putter is a face-balanced, center-shafted mallet that has been designed for easy alignment and a soft, solid feel at impact. Heel-toe weighting delivers forgiveness on mis-hits, while the grip was specially-designed to promote optimum stability. Rounding out the set, the ultra-lightweight stand bag features dual ergonomic straps, premium materials and ample storage. Available starting May 15, Phenom will be offered in two set configurations, each created for a specific size and age range of player. Each set includes graphite shafts that have been flexed specifically for junior swing speeds. TaylorMade will donate $20 from every Phenom set sold to the PGA Junior League.